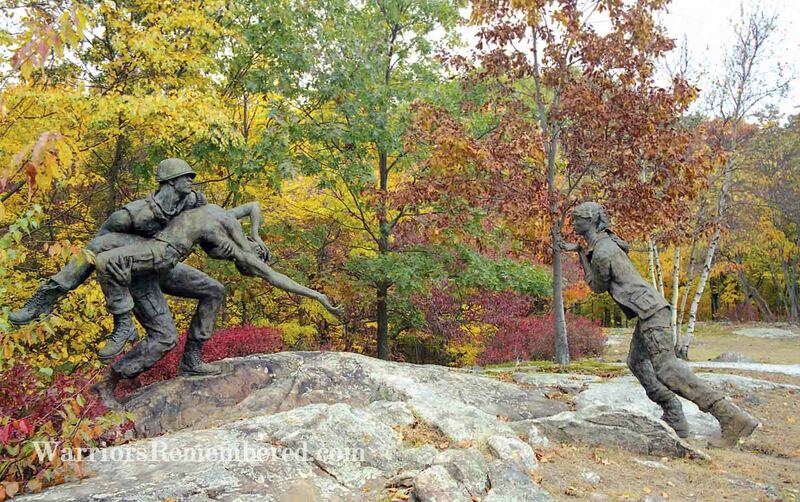 Charlottesville, VA suffered its first casualty of the Vietnam War on November 4, 1965. Shortly afterwards, members of the Charlottesville Dogwood Festival board of directors created and approved a plan for a memorial to honor him and other casualties from the area who would surely follow. 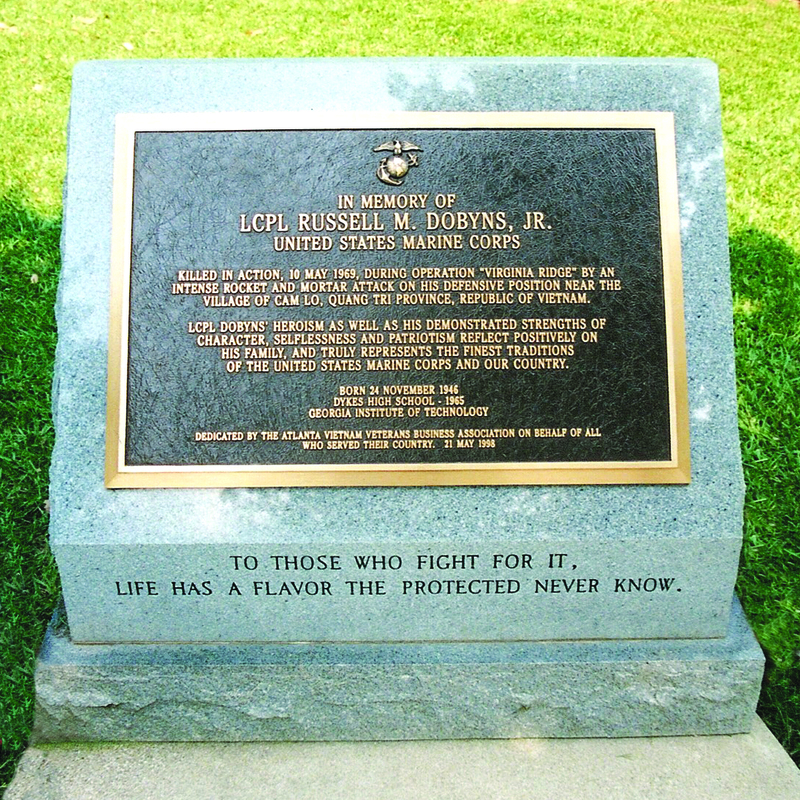 The memorial committee received City approval (but no funds) to erect a paved mini plaza with a flagpole and memorial plaque on a small knoll in McIntire Park prominently visible from the US 250 Bypass. 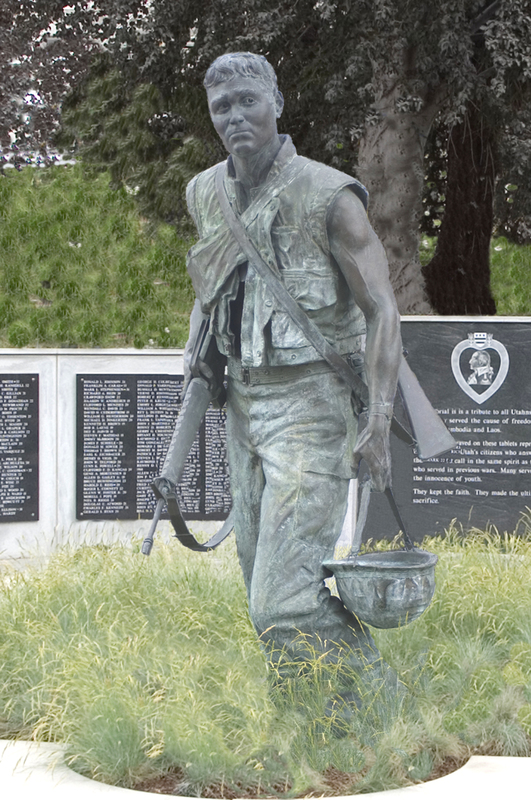 Before the constuction was completed, the area suffered its second Vietnam casualty. 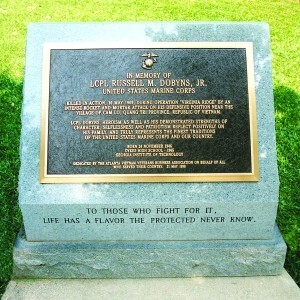 The memorial plaque states the name and purpose of the memorial. “The Dogwood Memorial dedicated to the lasting memory of these men and all who served our country in Vietnam.” And below the casualties’ names “And especially these from the Charlottesville and Albemarle area who gave their lives in that service.” Construction was completed in January 1966, but the memorial committee decided to delay dedication until April 20,1966 with the larger crowds of the annual Dogwood Festival. 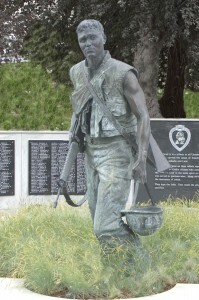 Of over 1000 memorials listed on www.warriorsremembered.com none have an earlier dedication date. 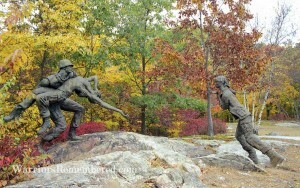 Since its dedication on the park knoll the memorial has become known as “the hill that heals”. 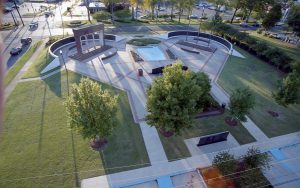 The Dogwood Festival has maintained and expanded the memorial to include the twenty-six fallen warriors from the area, recognizing them with the POW/MIA flag. the five service flags and their own biography plaques. 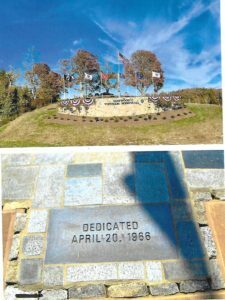 The memorial is rededicated each year during the annual Charlottesville Dogwood Festival. Reader reaction to Warriors Remembered continues to be overwhelmingly positive. This emotional Welcome Home for veterans continues to receive rave reviews. 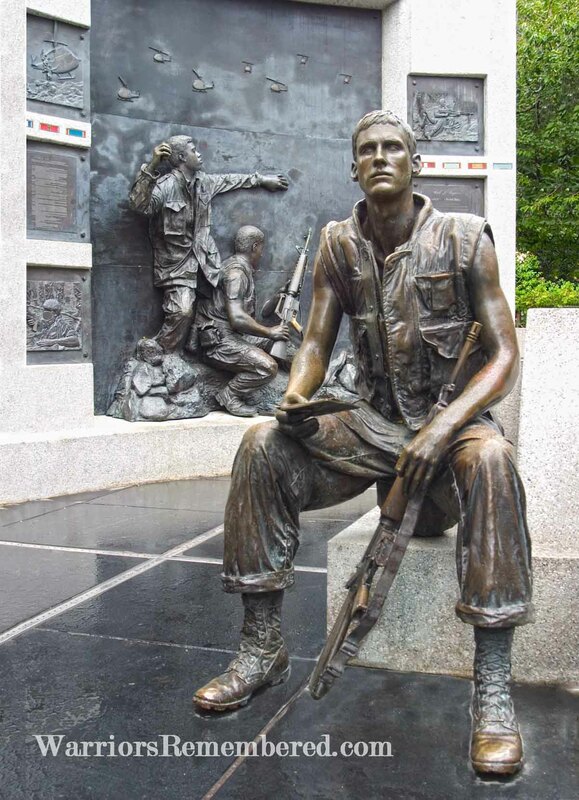 The Military Writers Society of America (MWSA) has selected Warriors Remembered at the top of their recommended summer reading list. 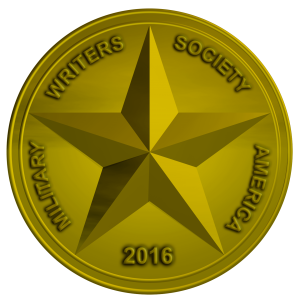 In their Summer 2016 “Dispatches” and based on a soon to be published book review, the MWSA has honored Warriors Remembered with this recommendation to its members. Watch soon for their very glowing book review. 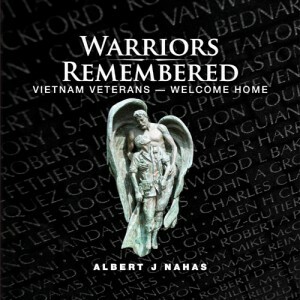 Request your copy of Warriors Remembered signed by the author. Reaching “from her heart” the nurse cried.